Pittsburgh is classically known for sports, steel mills and a serious sense of hometown pride. We bleed black and yellow. Giving us the energy to yell at the Steelers, anytime, anyplace, are fries piled high on salads and sandwiches, kielbasa, and of course beer. In the past Pittsburgh has been known for timeless local staples that fill the Sunday Funday void in a hearty, inexpensive way, like Mineo’s, the Original Hot Dog Shop, or the “Dirty O,” and of course Primanti Brothers. 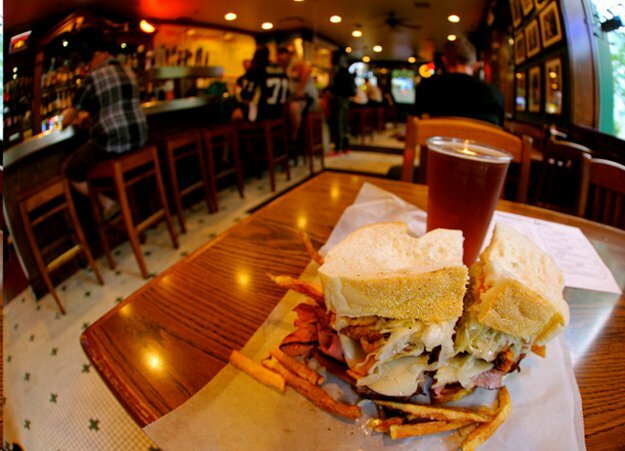 Huge sandwiches overstuffed with slaw and fries became a Pittsburgh signature, often causing people to confuse it with Philadelphia and its cheesesteaks. Over the past five years, however, Pittsburgh has become a foodie playground. Countless articles have described chefs flocking to be part of the young urban feel in the cultural hub that is Pittsburgh. In December, Bon Appetit named Pittsburgh ‘the next big food town’ for 2014. Lawrenceville has its own restaurant directory. There are full-fledged sanctuaries devoted to burgers and hot dogs of all kinds. Food trucks have arrived. You can create your own beer at Copper Kettle Brewing Company five minutes from my house, and more craft breweries are popping up, like Helltown, All Saints and The Brew Gentlemen. A normal visit home in the past meant heading straight to the “O” for a couple classic dogs with spicy brown mustard (still the best) and a heap of extra-fried fries. But these days, new food endeavors make the menu for trips home a little more complicated. “It’s important to me that Restaurant Week is a celebration, not just a ‘go dine out,’ but let’s celebrate everything we have because we’re really blossoming right now,” he said. Restaurant Week has more than doubled in size since it began, he said, and with great feedback from restaurants, a summer Restaurant Week was a go. Kristin Mitchell, communications manager at VisitPittsburgh, said a lot of the ‘burgh’s restaurants could hold their own to New York or Chicago. The 14-square downtown block known as the Cultural District has 6 theaters and tons of landmarks, including the Benedum Center, Heinz Hall, and the August Wilson Center for African American Culture. The Three Sisters bridges intersect with Allegheny Riverfront Park. The idea of revitalization here was the vision of H.J. Heinz II (also known as Jack Heinz), who formed the Pittsburgh Cultural Trust in 1984. More recently, former warehouses have turned into studios and lofts, and the number of people living downtown has risen to more than 7,000, according to the Pittsburgh Downtown Partnership. “Whether it’s a Pens game or a festival that’s in town or salsa dancing, there’s lots to do downtown,” McCollum said. Pittsburgh was one of the first cities to bounce back from the recession, he added. The Economist Intelligence Unit named it the most livable city in the U.S. in 2011. With the sheer number of people living downtown and the buzz of theater, dance and music, it’s no surprise that downtown Pittsburgh is now a hip place to eat. Mitchell and McCollum agree that restaurants are offering a lot of “fusion” options. 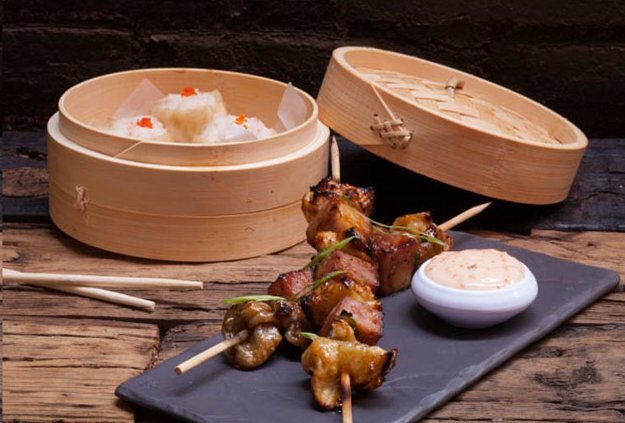 For example, Grit & Grace is New American, but offers a Dim Sum menu, McCollum said. Tamari, an Asian-Latin fusion restaurant in Lawrenceville, was a big influence on the fusion scene. It opened in summer 2009 and won ‘Best New Restaurant’ and ‘Best Fusion Restaurant’ from the Pittsburgh City Paper, going on to win ‘Best New Restaurant’ from Pittsburgh Magazine in 2010. Meat & Potatoes, which opened in 2011 as Pittsburgh’s first gastropub, and Butcher and the Rye, which offers small plates and over 350 whiskeys, are two popular and constantly packed spots from Chef Richard DeShantz. “It’s old school meets new school,” McCollum said. Small plates bring a different way of eating that most Pittsburghers wouldn’t have associated with their hometown five or six years ago. 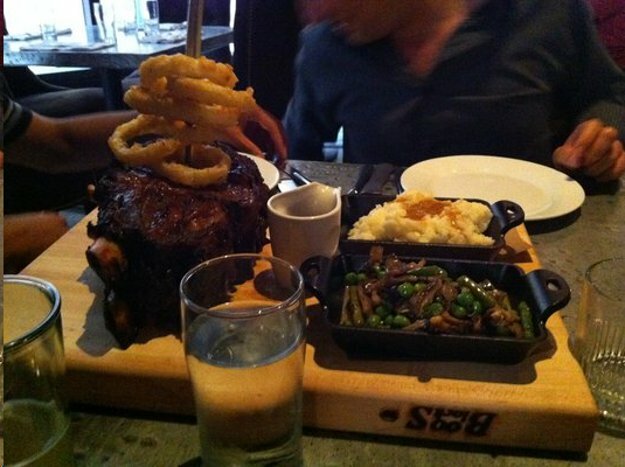 “We’re known for the huge portions that kind of fall off the sides of the plate. A lot of restaurants are going for the small plates,” she said. Pittsburgh is home to a number of universities, including University of Pittsburgh and Carnegie Mellon University. McCollum said more and more students have stayed in Pittsburgh after graduating, contributing to this new restaurant culture. “The young diner is the perfect clientele for these chefs to come in and offer something new and fresh and keep themselves going. Young diners are the ones most likely to dine out,” he said. The artist community of Pittsburgh, especially in Lawrenceville, also contributed to the blossoming of the restaurant scene, blogger Laura Zorch said. Zorch is one of the founders of eatPGH, the first local food blog, which also published The Food Lovers’ Guide to Pittsburgh. A similar takeover is happening now in East Liberty, where the 2010 arrival of a Google office seemed to mark a huge new beginning for the area, now home to popular foodie spots like Spoon and BRGR. “Artists and food sort of play off each other because at the end of the day chefs are artists too, and fit into these creative neighborhoods,” she said. But what about the restaurants who’ve been there for years? The places where servers watch kids grow up, and then serve their kids? The places where you know your order in the car on the way there? “Ones that have been established for many years are really holding their own - they can keep up with the new guys,” Mitchell said. It’s comforting to know that the people who have defined Pittsburgh food for years are embracing new businesses offering fresh ideas. Of course, it’s always been the Pittsburgh way to be friendly to your neighbor. “So many people that like kind of off-the-wall food, and newer restaurants are really bringing that to the forefront,” Mitchell said. Braddock currently has zero restaurants, fast food or otherwise. Chef Kevin Sousa is looking to change that, taking the idea of “local” to another level in what’s one of Pittsburgh’s poorest neighborhoods, according to the Pittsburgh Post-Gazette. Already an established name on the Pittsburgh scene for his restaurants Salt of the Earth, Union Pig & Chicken, and Station Street Food, Sousa held a Kickstarter campaign for his latest venture, Superior Motors, which surpassed its $250,000 goal and became Kickstarter’s most funded restaurant project to date. The restaurant will utilize a two-acre farm down the street, 1000 sq. ft. rooftop greenhouse and 4000 sq. ft. of roof space used for a raised bed garden. The eggs and honey are from an apiary next door. Sousa is looking to create an entire ecosystem in a forgotten area, building from the ground up with community support. Located inside one of the first Chevrolet dealerships in the country, the “world class” restaurant’s motto will be providing affordable food to Braddock residents, Sousa said. “It’s the final piece of the puzzle that can kind of present Braddock to the world in a different kind of way. We’re gearing it up to be a world-class restaurant but also trying to avoid an exclusionary type restaurant. We’re going to make sure anyone who lives in Braddock can eat at Superior Motors,” he said. This inclusionary experience will work based on a sliding scale cost system, and the project has been embraced by the Braddock community. The weeks before its Kickstarter ended, the project was failing, Sousa said. The day before it ended, “something crazy happened and I can’t explain it,” he said. The campaign raised $310,225 total, with most of the donations from Pittsburghers who contributed less than $100 each. The Heinz Endowments pledged $40,000 toward the job training component once the project reached its goal. Volunteering with Grow Pittsburgh the past two summers, Sousa found kids interested in not just cooking, but also farming and beekeeping. Interns will work and live on site, providing educational opportunities for farming, beekeeping and cooking. This is a unique project, and one that Zorch said exemplifies why Pittsburgh is great. This is Pittsburgh’s rendition of asking “have you eaten yet?” So where the heck should you eat if you have a few days to spend in the Steel City? First, you should try to extend your trip. Next, start out at an old-school place, and venture on from there. 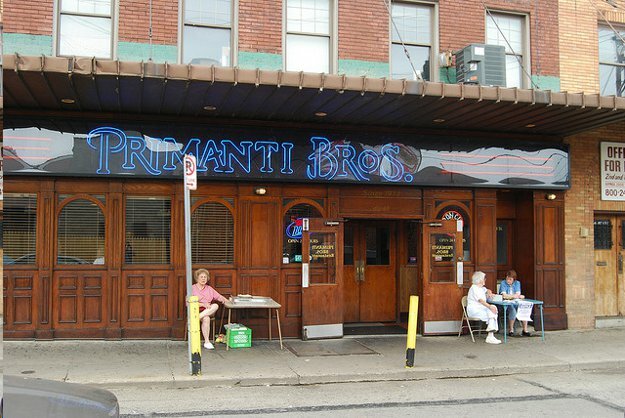 Primanti’s is where Pittsburgh food started standing out, McCollum said. Mitchell and Zorch agree. Luckily, there’s life beyond the pile of fries, but the restaurant scene hasn’t reached the point of being unattainable. These newer restaurants are mostly more affordable than similar places in New York City, for example. Beth Kaiserman is a contributing writer at Highbrow Magazine and the magazine’s chief food critic.